Being a good driver doesn’t mean that you drive well, but it is all about hell lot of things which helps you to drive well. You just can’t simply ignore that you are a good driver while you don’t even care what your car is going through. Recently I was with my one of friends, inside his Maruti Suzuki Swift. The problem was he seems to have some issues with the door and the other less meaningful things inside the car. I asked him “what’s the matter?” To which he replied that “it’s nothing major”. Even a mentally retard can see that there wasn’t much of a problem with it and we actually didn’t pay much of an attention to it. But later on, almost after a week or so, I came to know that his car seems to enjoy the weekend in a nearby garage as the car seems to be in lot of trouble. So why did I bore you with that stupid story of mine? Because the moral of the story is that DON’T IGNORE EVEN THE SLIGHTEST PROBLEM IN YOUR CAR. I hope those bold letters served their purpose right. I know things don’t happen all of a sudden. A problem is the end product of a chain of bad events. So, a simple advice from yours truly would be to pay attention to even the slightest bit of problem in your car. Besides there’s no harm in a routine check up of your car. The way you pay attention to yourself and your health, pay the same attention to you car as well and I’m sure the reward will really stretch a smile across your face. But now the catch is why to take it to a garage for the routine checkup? If you think you are smart enough as a driver, I’m sure that you know the basics about the car as well. So, why pay extra money to the garage wala, go check it yourself. Ok, you need help with that then follow me and I’ll let you know how you can do that and become a good driver (this time truly a good driver) and help yourself for a trouble free drive. There seems to be an unchained self proclaimed theory about changing your engine oil after 4000 to 6000 kilometers. I say why wait too much just for changing your engine oil. Better change it just before the 4000 km mark if you are using your car on daily basis and you tend to be in a city which usually gets struck with traffic jams. Do not forget to check the level of fuel on every weekend, at least monthly. Now don’t raise some absurd question that how will you check it if the engine is hot. Firstly who told you to check it at that time and secondly there are still ways to do that say for example find the dipstick which is labelled as oil. Pull it out in order to wipe on the rag so that it gets clean (don’t rinse it folks), now dip it back in its proper place and now pull it out once again, this time not for cleaning it but to check the level of oil from the bottom of the stick. Now, if the level is nearer to the ‘full’ line, then it is acceptable, if it is at the marker line, it is still acceptable but if it is below that then I guess it’s time to ring the bell. One more thing, check the colour of the oil, if it looks dirty then get it changed even if the mark says full. Remember, don’t forget to ask your mechanic as to which brand will suit your car. Trust me or not that makes a real difference. See basically if you are getting some problems while shifting the gear, then there is definitely either big or small problem with the transmission system of your car. Don’t ignore it. Like the way we checked the engine oil level, we can also check the transmission fluid level. If the level is low get it changed. 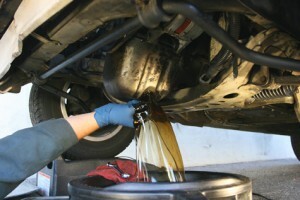 The reason is when the car is running in a low transmission or for that matter low engine oil then it tends to leak, which can lead to many unpredictable problems. Now the question, how can you help yourself to check the transmission fuel level? Follow the same dip, wipe, dip, out and check method. Now, I guess I’m ready to share some trick of the trades here. Firstly, transmission oil seems to be having a slightly pink tint in it (which you might have observed in the garage in well), so you need to make sure that the colour is right. Secondly, use the right brand of oil. Thirdly use a funnel to refill it so that it won’t spill anywhere. 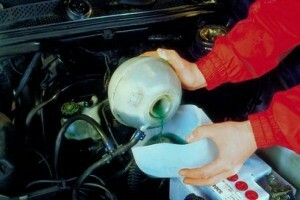 Coolant is supposed to be a mixture of water and anti-freeze. The main purpose for which it is used in automobiles is to maintain the same temperature throughout by the help of radiator and dissipate heat. If your car is old then you can check its level by unscrewing the cap over the radiator. But if your car is new then the reservoir or the sump might be placed right beside the engine of your car. Now, make sure that when you do check the coolant level, your car is not hot or else you might get a tattoo on your skin. If the level is OK and the colour is clear then you’re good but if it’s not then you know what to do. Batteries generally have a life span of about three year. But its life span is affected by many other factors, say for example traffic, usage, and weather. Anyways, make sure that you keep the battery as well as all its veins and arteries safe from corrosion. If they have caught hold of some, which I’m sure they would have then here is the tip what you can do to make it corrosion free. First and foremost unplug the battery, make a solution of water and baking soda, then with the help of a stiff brush scrub the battery and plugs and anywhere where you can see the corrosion. Besides corrosion if your battery has any unwanted bulges and cracks then bid adieu to your battery and fix a new one. So, finally I got a break. Though it’s not the break as I scripted it, it’s the brakes of your vehicle what we are dealing with now. So, I’m sure you are aware that there is a fuel for your brakes. Good. Now. Don’t wait for your brakes to start screeching, whining like as if you are riding a new unbroken pony. I’m sure your car has a dedicated indicator for brakes . Now first and foremost, check whether the brake fuel level is OK by the comparing the fluid level with the level indicated on the master cylinder. Check brake hoses, if it is worn out, then you definitely need to change it. I would also like to add that whenever it is about the brakes of your car don’t take it lightly and take it to the nearest mechanic asap. Make sure that each and every part of your car whether it is of high importance or low importance, is in well maintained. As I told you how a simple problem led to a big problem in my friend’s Maruti Suzuki Swift, so try to avoid such circumstances by proper cleaning and maintenance of your car. Also keep a handy kit along with you, you never know when it comes as an assistance. I required few tips for general mainteance. 3. Stirring too tight while turning. Hey, I am sorry to hear that you have problems with your car but then based on the details you have provided, it seems that your car has got a problem with the fuel injectors. Have them cleaned from a Maruti authorized service station. The pickup would increase as also mileage. If your driving is in the city most of the times, your mileage is bound to be affected. Practise less gear shifts method and try to shift to a higher gear if the coast is clear. 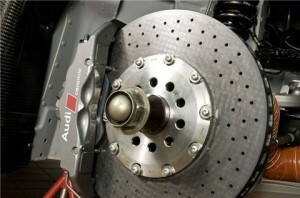 Use your accelerator, clutch and brakes judiciously.For the steering issue, it could be a problem with the tie rods. Get them checked at the Maruti service center.